While the rest of the UK gets set for the hottest day of the year, people living in the north-east have been warned to prepare for possible flash floods. 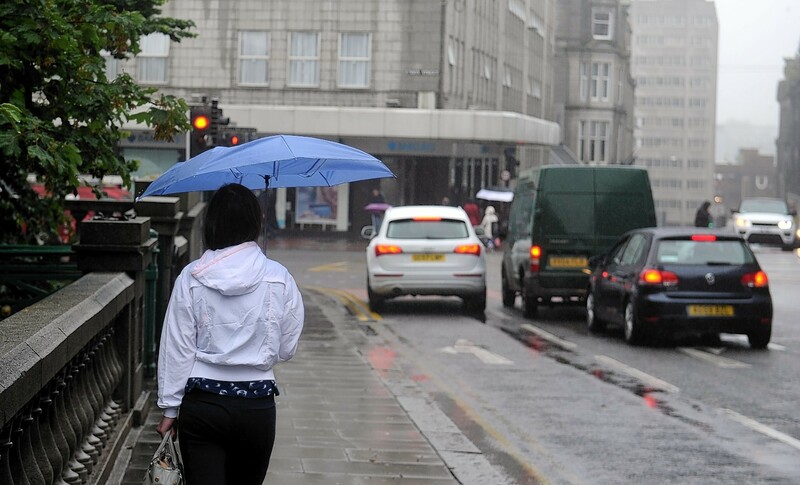 The Met Office issued the weather warning for large areas of the North-east earlier today. The yellow warning – meaning be aware – for has been put out for Aberdeen, Aberdeenshire and Moray from 5pm on Tuesday until 6pm on Wednesday. The forecaster said: “Whilst most places will miss the worst, please be aware of the risk of flash flooding. “Frequent lightning, large hail and strong winds could be additional hazards.